With the popularity of short videos on social media, an increasing of people prefer to record short videos with iPhones for sharing to YouTube, Facebook, Instagram, Whatsapp etc. 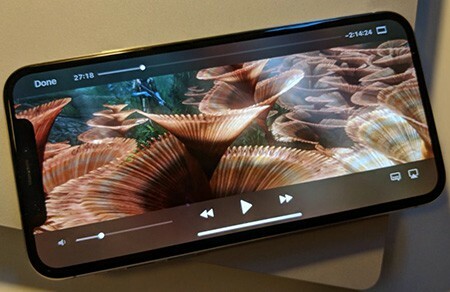 Your iPhone defaults to record 1080p resolution at 30 frames per second. With iPhone 6S or later you're able to capture 4K resolution videos, which is four times pixels than 1080p 30fps HD videos. Especially the latest iPhone 8/8 Plus, iPhone X based on A11 Bionic chip (not to mention XS/XS Max/XR on A12 chip) support to shoot 4K videos at 60fps. Whether or not you have a device that can play 4K ultra HD video, what makes it great is that there is enough data to process 4K video like transcoding, trimming, cropping, compressing and still end up with great looking 1080p. Since 4K shooting mode isn't set by default, you first need to turn it on to shoot 60fps 4K video with iPhone 8 or newer version. How to Shoot 4K Video at 60fps on iPhone? 1. Open the Setting on your iPhone. 2. Scroll down and tap Camera in the list. Hit the Format option, and choose High Efficiency to turn the HEVC codec on iOS 11/12. 3. Swipe right from the left edge of the screen or tap on > Camera to back the the previous screen. Now tap Record Video sub-section, and choose 4K at 60fps from the list. 4. Now you're able to shoot iPhone 4K at 60fps in HEVC codec. Go back the Home screen and launch Camera app, and select Video at the bottom of the interface. Tap the Record button or press either Volume button to start and stop recording. After you've done, the captured HEVC-encoded 4K/60fps video will be saved as .MOV format into Photos App. Incredibly, iPhone 4K videos sometimes fail to play on iPhone itself. According to MacRumors, iPhone recorded 4K video can be played on A8 chip shipped on iPhone 6 and iPhone 6 Plus with the help of WALTR app, even if the resolution of these two models are 1334 × 750 and 1920 × 1080 respectively. But it's still a pity that the display of iPhones cannot present image details of 3840 × 2160, no to mention that sometimes the iPhone 4K video gets choppy or stuttering. Likewise, when you're trying to play the iPhone recorded 4K video on Macbook Pro/Air, Windows PCs, you'll be stopped with the video format and codec compatibility issue. Even you got the latest 2017 15-inch Macbook Pro, you cannot play 4K 60fps HEVC video without skipping, since the Macbook Pro only comes to 2880-by-1800 native resolution at 220 pixels per inch. Things get even worse on Windows PCs, because the HEVC codec is totally incompatible on Windows 10/8/7/XP. 2. iPhone 4K Video takes too much space of your storage. If you're addicted to recording 4K video, you'll find it's easy to run out space of your iPhone storage space, especially the lower 64GB one. One minute of 4K/60 FPS video takes up 400 megabytes of storage on the device (200 MB using HEVC in iOS 11/12). Thus you have to transfer 4K videos from iPhone to Mac or cloud services. 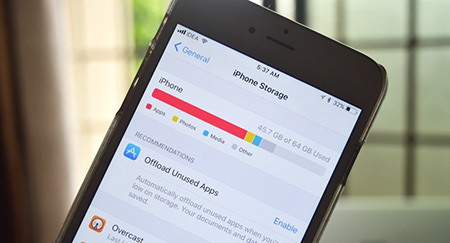 But the bothering doesn't go away, when your iPhone is filled with 4K videos, maybe you may need purchase extra storage space or resize 4K videos to free up more storage space. 3. Cannot export 4K at 60fps to iMovie for editing. Yep, iMovie currently has no option for 4K 60fps video. Thus as you cannot export HEVC-encoded iPhone 4K 60fps video to iMovie, it may be automatically changed to 4K at 30fps, or even 1080p at 60fps. 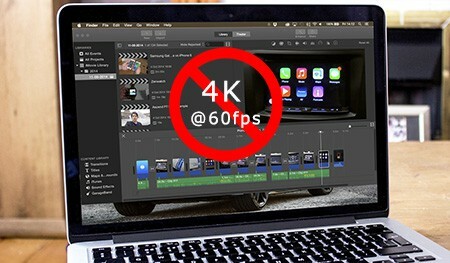 To solve the problem once for all, maybe you should wait for iMovie 4K 60fps support. 4. 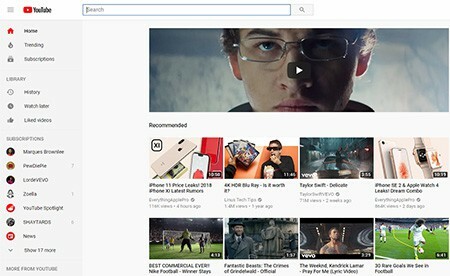 Unable to upload 4K video to YouTube or lower quality after uploading. When you're bothering with iPhone HEVC-encoded 4K/60fps footage video unable to upload to YouTube, it's maybe a matter of file size issue. In this case, you're merely suggested to trim 4K 60fps video to meet the requirement of YouTube upload limit. While there are also times that you uploaded 4K to YouTube, but it's only transcoded up to 60FPS HD (not even 2K). Firstly, it's really very slow to upload 4K 60fps video to YouTube. The higher resolutions and frame rates can take up to several days after uploading to finish processing, especially for users who don't have very many subscribers. If the video is only going to be seen by a few people, then YouTube may not think it's worth the time to encode it at 1440p or 2160p, and gives that encoding very low priority. Now that YouTube would downscale the 4K video resolution after uploading, why not compress it in advance to reduce the bandwidth consumption? You see, iPhone 4K 60 fps HEVC video embraces a crisper and sharper image quality, but the other side of the double-edged sword comes that you may not be able to play, upload, edit or store it limitlessly. Thus sometimes you have to process iPhone 4K HEVC video to compromise with the hardware facility. And MacX Video Converter Pro is apparently a wise choice to do so. Unlike Handbrake processes 4K videos very slow, this Intel/Nvidai/AMD hardware accelerated video converter enables you to convert 4K 60fps HEVC video to H.264, MPEG-4, MP4, AVI etc., compress 4K video to 1080p/720p or lower 640p, 480p, change 4K 60fps frame rate to 30 fps and doing 4K video reduction by trimming or cropping at blazing fast speed but almost no quality loss. Here's the detail tutorial for 4K video processing. Select the output profile from the automatically popped up window according to your needs. 1. To play iPhone 4K on Mac: Choose Mac General Video > MP4 Video (HEVC) > Done, then click to lower the frame rate to 30 fps from 60fps, even you can also downscale 4K to 2K, 1080p/720p HD, SD by adjusting the resolution. 2. To upload 4K to YouTube: Go YouTube Video > MP4 > Done. This will transcode 4K HEVC to H.264, but retain the original resolution. If you want to compress 4K to 1080p, or 4K to 720p, you can click the gear icon and choose your desired resolution. 3. To reduce iPhone 4K 60fps video size: Various ways are available, it all depends on your demand to follow a single one or all together. ① General Profile > HEVC Video > Done. ② Click icon to lower the frame rate, bitrate, change video resolution, aspect ratio etc. ③ Click Edit to trim the length of video or crop the unwanted section of image like the black bars. Tap RUN button to start processing 4K HEVC video. Usually a few minutes will be taken, but not always, it depends on the video length, computer hardware configuration. The 4K video processing progress will be done at 5X faster speed with hardware acceleration enabled than usual. If your computer is built in Intel QSV CPU, Nvidia CUDA/NVENC, AMD GPU, the program will automatically tick the box of Hardware Encoder to enable hardware acceleration. Record 4K Screen Videos @ 60fps or 30fps on Macbook, iMac etc. What Supported Formats for 4K UHD Videos?